Mahindra has entered the increasingly competitive compact SUV market. The Indian carmaker’s Quanto SUV is now available at a price of R199 900 and takes aim at the entry-level derivatives of the Ford EcoSport and Renault Duster. 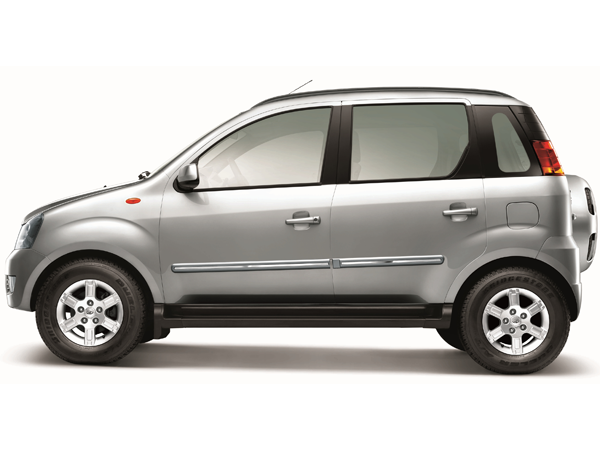 The Quanto is powered by a 2,2-litre turbodiesel engine which develops 89 kW of power and 290 Nm of torque, while its claimed average fuel consumption is 7,6 litres/100 km. The Quanto is a five-seater in a 2+3 configuration, with the rear seat having a divided backrest that can be folded to increase load versatility. The spare wheel is mounted on the tailgate so it doesn’t take up any usable space inside the vehicle and also gives the Quanto a definitive SUV appearance. Furthermore there’s 200 mm of ground clearance, while a 4x4 version will join the line-up too at a later stage. Safety features include two airbags in front, anti-skid brakes and side-protection bars in the doors. Standard equipment includes air conditioning, an audio system which is MP3 compatible, remote keyless entry, central locking, alloy wheels, electrically adjustable exterior mirrors and front and rear power windows. It’s covered by a three-year/100 000-km warranty and comes with a three-year/60 000-km service plan.